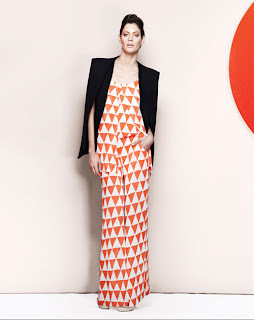 Today's So Pretty Monday post revolves around Australian label Sass and Bide. These two women, Heidi Middleton and Sarah Jane Clark, have a very successful clothing label which many celebrities love wearing and if I could afford it... I would be as well! I have nothing but respect for these women and their lives have been as rich with success and heartache as their clothes are with texture and colour. Please head to their website here to check out their other collections. Below, I have included some favourite items from their latest collection Sing, Brother! The orange triangle one is cool. Looks like it would make anyone look taller!